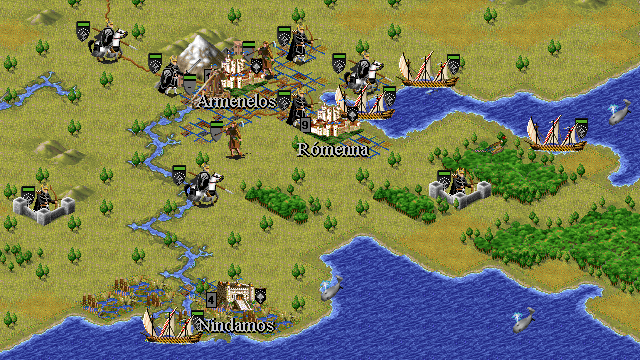 A scenario for Civilization II: Multiplayer Gold Edition by Academia. 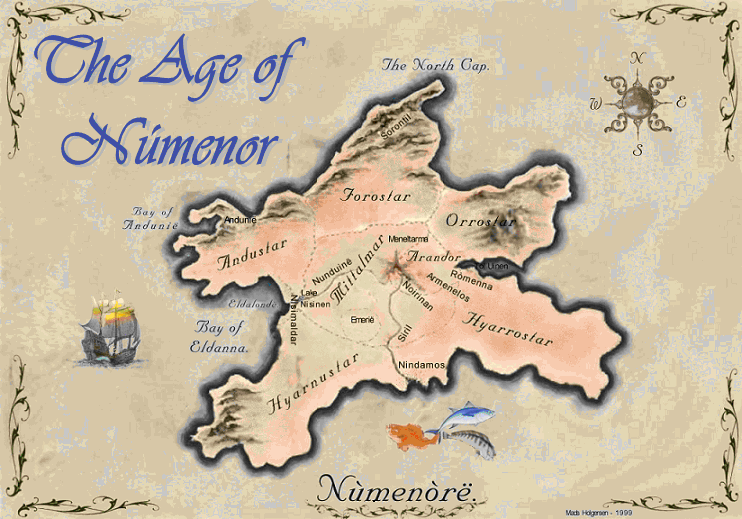 The Age of Númenor begins after the destruction of Beleriand in the War of Wrath during the First Age of Arda. 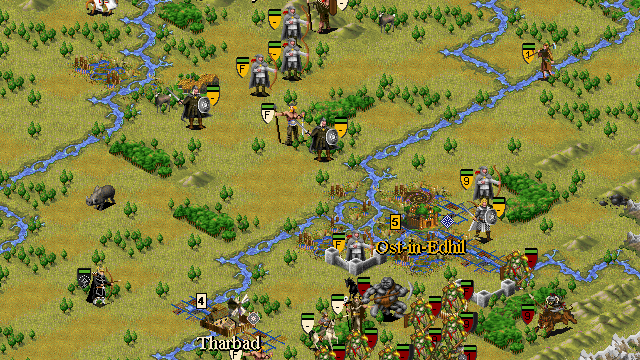 The history of the First Age is the story of the long defeat of the Eldar (the Elves) and the Edain (Men) by Morgoth and his armies. A defeat eventually reversed when Eärendil the Mariner (accompanied by his wife Elwing) won through to the Ancient West, to Valinor, to plead for assistance from the Valar (the Powers, or the gods). In the ensuing War of Wrath; Morgoth was defeated, captured, and cast from the world. However Sauron the Maia, Morgoth's chief lieutenant, avoided capture and remained active in Middle-earth. As recompense for their suffering in the long defeat the Valar allowed the Eldar to sail to Valinor (although many chose to remain in Middle-earth). For the Edain, the Valar raised the island of Númenor, half-way between Valinor and Middle-earth. As the years passed, their power grew until it surpassed that of any nation of Men, before or since. They sailed east, exploring Middle-earth and founding great cities there. Eventually, their growing power, growing pride, and an increasing fear of death became so great that they attempted to seize immortality by force and challenged the Valar themselves. But when the Númenóreans landed in Valinor the Valar laid down their guardianship of the world and appealed to Ilúvatar (God the Creator, God Almighty). Ilúvatar responded by changing the shape of the world, and destroying Númenor and its ships. Finally, Ilúvatar also moved Valinor off the circle of the world and onto "another dimension", so that afterwards it could only be approached by the ships of the Eldar, but not of Men.